Once again, Drake and I are up to date… until tomorrow. -ed. After last week’s bonanza of good-to-great releases, this week is far more subtle in it’s charms. Both Junior Boys and Vetiver headline the action here, and their laid back approach to music make a perfect match to talk about. Elsewhere this week there’s the latest from Emmy the Great and Marissa Nadler, reissues from Paul McCartney and Sebadoh, along with a long lost recording from Neil Young. 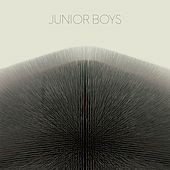 Ontario’s sublime electro-pop duo Junior Boys, after going for production-wise with the dancefloor shiny Begone Dull Care, return a bit to their more intimate sounding roots on this, their fourth album, It’s All True. They manage to not sacrifice any production value while still approaching their more minimalistic beginnings (2003’s masterful Last Exit). Opener “Itchy Finger” proves to be a red herring, with it’s rubbery bass and driving rhythms, as IAT quickly turns introspective immediately following — and mostly remains as such til the end — and what and ending it is. Closer and first single “Banana Ripple” is a driving, fun song that builds and builds throughout it’s 9 + minutes. Not that you’d notice how long the song is, as it never seems to feel more than 5 minutes. After moving into more accessible waters for their Sub Pop debut (2009’s Tight Knit), San Francisco’s Vetiver move into more uncharted realms for them with their latest, taking their folk down-tempo for the most part. 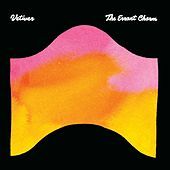 There’s much less freak here, than their freak folk beginnings, and while there’s plenty to be excited about here, the sameness of instrumentation and tempo begin to feel cumbersome halfway through the release.